First Alliance of Port Charlotte is a Christ-centered church that is passionate about bringing the good news of Jesus' love to our community and to the world. ​Join us for worship on Saturday night or Sunday morning, and bring the whole family! Easter is coming! Click on the button for information on our Good Friday & Easter services. If you can't join us at one of our services, you can watch it live on Facebook (Sundays at 11:00) - or watch at your convenience on livestream by clicking the button below. ​Visit our Sunday in Review page to find announcements & sermon notes. You can also conveniently GIVE online through our e-giving. ​Discover FAC is a one-time orientation class offered every other weekend, and will introduce you to First Alliance Church's leaders, core values, beliefs, and various programs offered to you and your family. ​Click the button below to sign up! 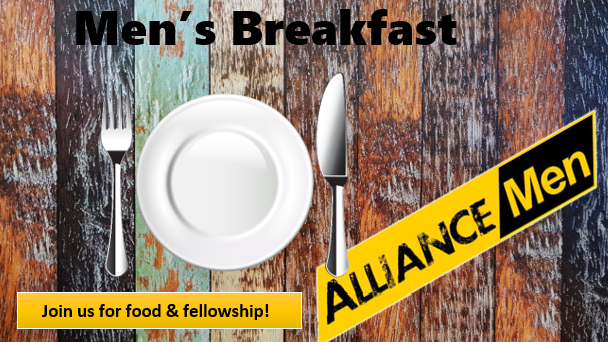 What's happening at First Alliance? Want more information on the events you see on these slides? Click on them to visit the Events & Calendar page (or navigate from the top menu) - each event is described in more detail there! ​Keep scrolling for a few events/resources that we'd like to highlight. Be sure to visit our "Events & Calendar" page ​to find out about more events, and our Ministries page to find out more about church ministry programs! Come to a night of celebration as we honor Pastor Scott and Sara Borden! We invite everyone to join us on April 28th at 5:00 pm in the Family Life Center as we celebrate Pastor Scott's years of ministry, and say farewell. This is a potluck celebration. If your last name begins with A-L, please bring a main dish; if your last name begins with M-Z, bring a side dish. Mark your calendar and join us! Did you recently accept the 90 day tithe challenge? Or maybe you already tithe, and have learned lessons, found answers, or experienced blessings as a result. We would love to hear how God is working in your life as you tithe. Click on the picture to share your testimony (your story) with us! We are offering a variety of services to choose from. There will be one Good Friday service, and 4 services to choose from on Easter Sunday. (On Easter weekend, we will not be having a Saturday night service.) Click on the picture for all of the details!